Japanese venture capital (VC) firm GREE Ventures and community-driven startup initiative Innovation Factory announced the launch of SKALA, a new accelerator programme in Indonesia. The programme offers upfront seed investment of US$30,000 in exchange of five per cent equity. It also offer other benefits that include access to shared services and facilities such as office space, legal and accounting, as well as additional perks such as cloud hosting credits. Participating companies will also be part of the BLOCK71 community which includes Indonesia, the US, China, and Singapore. The three-month programme is expected to begin in October with a demo day event at its end. In a press statement, programme manager Agustiadi Lee said that SKALA expected participating startups to “be ready” for their next round of investment by the end of the programme. GREE Ventures also stated that it may choose to invest in the startups that have shown “great potential,” as well as alignment with its investment theses. During the programme, startups will be assisted in defining key business metrics and goals by SKALA operating partners and mentors. The programme’s operating partners include Innovation Factory Director and PopBox CEO Adrian Lim, GREE Ventures Principal Nikhil Kapur, GREE Ventures Investment Manager Samir Chaibi, and AWS Indonesia Head of Startup Ecosystem Budiman Wikarsa. SKALA dubbed itself as a sector-agnostic programme, but it is interested in several key spaces such as agritech, supply chain or logistics, healthtech, edutech, O2O, media, and fintech. “SKALA will focus on finding tech startups with founding teams that possess strong domain expertise and deep understanding of the local market. SKALA is interested in teams that have done prior customer development and who have begun to test product-market fit (not idea-stage companies). Having a minimum viable product (MVP) with some level of market traction is a plus,” it stated. GREE Ventures Principal Nikhil Kapur said that in running the programme, SKALA is inspired by Y Combinator’s focus and approach. “We have invested in companies that have been backed by Y Combinator and have learned the fundamental change that can take place by curating and guiding a handful of companies in the proper manner,” Kapur explained. “We looked around and did not see any other program doing it in Indonesia, and so we’ve decided to collaborate on our own project,” he added. Application for the programme is open until September 14. Innovation Factory is a community-driven initiative with BLOCK71 Jakarta, a startup ecosystem builder, as one of its earliest projects. Since its entrance to Indonesia in March 2017, it claimed to have built a community of more than 50 startup incubatees and more than 14,000 community members. As for GREE Ventures, in Indonesia, it has invested in leading startups such as Bukalapak, Kudo, BerryBenka, and Luxola. 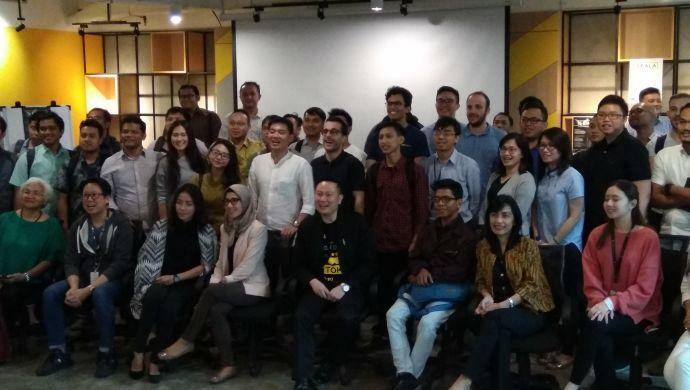 The post Innovation Factory, GREE Ventures launch SKALA accelerator programme in Indonesia appeared first on e27.